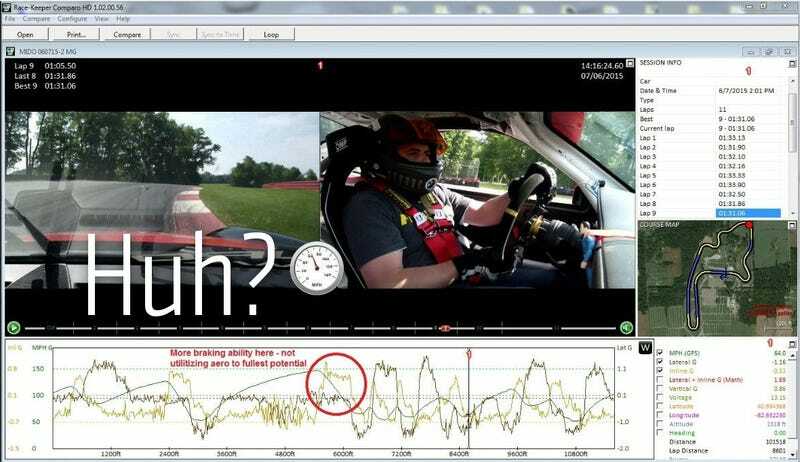 Why Do Racing Drivers Pay So Much Attention To Data? Ever notice the myriad gizmos and gadgets that drivers attach to their cars before heading out on track? In addition to the ever-present GoPro, tools like the AiM Solo and RaceKeeper can capture a ton of data. What is it used for, and why should you care? Here’s a good overview of in-car, on-track data from Porsche Club of America high performance driver’s education instructor Michael Gerowitz. Capturing data on braking, acceleration, lap times and more can help point out things to improve that you’d otherwise miss when relying on memory or video alone. G-meters and other data overlays don’t just look cool when exported to YouTube—they can actually help you become a faster, more consistent driver. Read all about the ways that adding a data system in your track or race car can help you get faster on MultiBriefs via PCA E-Brake News.